i was just wondering if anyone had any experience with and elegance coral, my'n was doing this funny thing the other day! where it pretty much inflated itself. thought it was kinda strange. I have had one for a few years.. came as a hitchhicker on a LR. I've never seen mine do that.. but I can't watch mine all the time, its behind the tank facing the back. Mine always has the long tentacles sticking out swaing in the current. If your params are great and its not being attacked by a predator, then its probebly a natural phenomena. How is it this morning ? it might of fed of something ?.. I do not feed mine at all. How long have you had it and how big is it ? Mine will look somewhat like that when the lights are out. When the lights return it goes back to its original beauty. ahhh... true.. i'll go take a look at mine now.. the lights are not on yet. its smaller, but still has tentacles sticking out. yes its natural for an elegance and most LPS to close up/deflate after the lighting schedule. keep in mind, there has been a pathogen/disease affecting most elegence from INDO regins for quites some time. 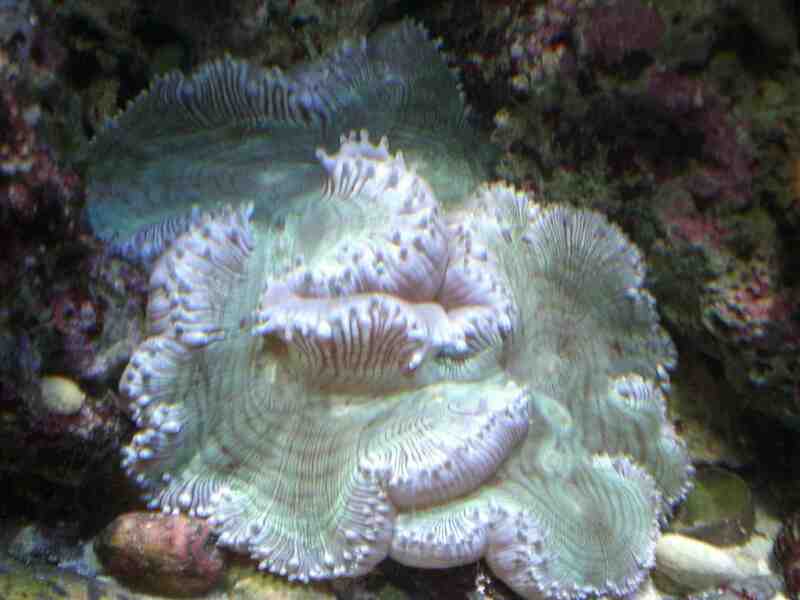 how long have you had this coral?? if you find that the tentacles are slowly getting shorter and it gets really ''puffy'' then chances are its dieing. A good way to buy an elegance is to make sure its from AUSSIE LAND or a frag from an existing healthy longterm elegance.